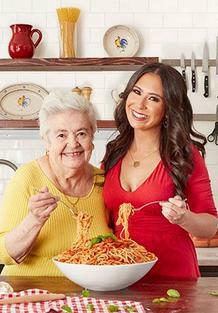 Some of you may know Rossella Rago from her on-line/social-media cooking videos in which she cooks alongside an Italian or Italian-American grandmother (nonna). 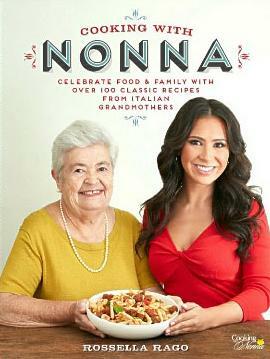 This book is an accompaniment to that series, featuring 100+ of the basic Italian and Italian-American recipes she's gleaned from various grandmothers who have been featured on her show. The recipes cover meals from appetizers to desserts, with step by step instructions on how to make the dish, preparation times, cooking times and yields. Photos illustrate many important techniques, and show many of the finished dishes. A few of the dishes may challenge experienced cooks, but this is really a basic to intermediate book. I expect that the sequel will feature advanced dishes. Each recipe is prefaced by a short and entertaining introduction by the author. The filtered images take on a nostalgic feel, which is intentional, and helps to blend the down-to-earth grandmothers with Rossella's at times too-Hollywood style. The author hopes to create nostalgia for the traditional Sunday dinners she grew up with. You've got love the food like you love your boyfriend. 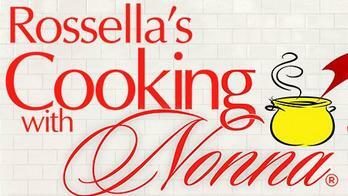 Visit Rossella's website or YouTubeChannel to view the videos of her cooking with Italian grandmothers.